Due to the typical nature of their businesses, pharmaceutical companies are in permanent need of reliable, relevant and real-time data from the field. In the absence of full data integration, executable and quickly implementable actions that can lead the way in front of the competition cannot be deployed with great results. Sales Force and Retail Execution agents have a very important role here because they have to implement the company’s sales and merchandising strategies in order to increase sales and revenues. Nowadays, growth in this sector is mainly driven by how well and quick can your representatives do their work. The need for real-time information, business insights, photos, sharp and complex promotions and promotional policies have a huge impact on the business performance of a Pharma company. HERMES is a strong tool that automates sales tasks and enables sales reps to make more visits per day so they have more opportunities to sell, improve overall customer relationships, present new products and fuel your business growth. Pharmaceutical retail-execution and merchandising standards have a great impact on sales and revenues so we developed a comprehensive photo module that consists on photo collection and comparison for compliance. For merchandising companies or Pharma producers we have an advanced form of monitoring merchandising standard compliance for pharma products with the help of a photo gallery website, a feature which is very much appreciated by the industry. Supervisors have the opportunity to coach their agents and implement mixed promotions with ease. Also field reps can see their targets, the KPIs that they have to measure, get notifications from the headquarters or use multimedia presentations to sell more. Via GPS, agents’ activities can be monitored and by using real-time data collected by them with HERMES, the Advanced Reporting & Analytics solution can provide extremely valuable business insights that enable Pharma companies to take better and quick decision for competing effectively in the marketplace. HERMES supports companies from Pharma industry in achieving their goals. Benefits like sales force optimization, quick access to reliable and real time-data, well-implemented retail-execution and merchandising policies and deep business insights can provide you great perspectives to increase your sales. 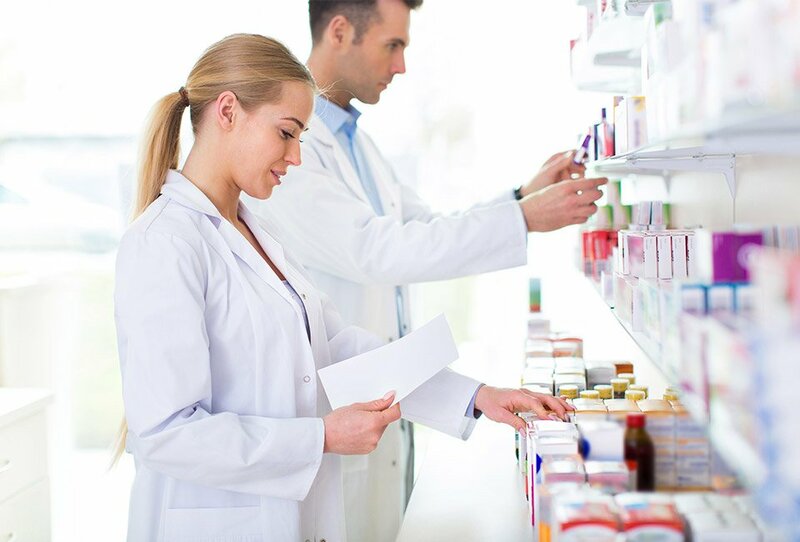 Gathering information from drug stores for products classified as "focus products"
By implementing HERMES, the main benefit consists of improving the services provided to our clients in the distribution area. Another significant advantage brought about by the implementation of HERMES mobile solution is an increased capacity of coordination and control over very large teams – hundreds of people. It is about sales representatives, medical representatives carrying out promotion activities and who spend more than 80% of their time at client’s place. We chose Transart after a detailed analysis of solutions and offers existing on the Romanian market. Good references received from multinational companies using Hermes solution, Transart openness to make a series of developments we wanted, the quality of people we were in contact as well as the solid and experienced team behind the Hermes product, highly influenced our decision. How A&D Pharmas reduced by 40% the time needed to validate orders coming from the field reps and managed to grow even in the context of an economic crisis.